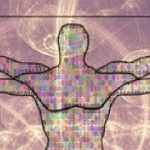 Below is an exercise and script you can use when you are feeling pain when you want to use EFT. Feel free to print this page out and write your answers to the questions. Watch the video above first then grab a pen and paper! SH: Even though I have this pain in my body, I deeply and completely love and accept myself. Even though I have this stressful pain in my body, I deeply and completely love and accept myself. Even though I’ve been dealing with this pain for so long, I choose to relax and accept myself now. TH: Letting it all go. Take a deep breath, and relax. Every round or two you want to do two things: you want to check back in on the number and see if there was a shift. And then you want to pay attention to what else came up, what other ideas, thoughts, impressions, memories. So at what level of intensity is your pain now? Was there a shift? SH: Even though I’m feeling all this pain in my body, I deeply and completely love and accept myself. Even though I’ve been holding onto this pain in my body, I’m not sure what it’s really about, But I choose to relax and allow it now. Even though I have all this pain in my body, I’m not sure what it’s trying to tell me exactly, What purpose it’s serving, Or what it’s all about, And I deeply and completely love and accept myself. UE: When did it start? UN: What was I feeling then? CH: What was going on then? UA: If there were an emotion in this pain, TH: What would it be? CH: When did it start? CB: What’s it all about? UA: What are the messages behind this pain? Take a deep breath, and relax. The questions above are intended to unlock the emotions that might be hiding behind that pain. Did anything come up? 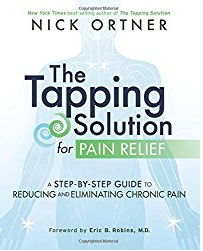 Notice that we’re doing more global tapping, tapping on general issues, as it can be really helpful to do this generic tapping first to calm the body and the nervous system, to get a little more clarity, to feel safe in our bodies, to take the edge off a little bit. Then when we’re feeling more relaxed and calm we can start to ask some of those deeper questions. Now try answering these questions specifically: When did the pain start? Who was I with at that time? Did anyone say or do something that made me really mad? What was I feeling at the time? Is the pain trying to tell me something? Is there a message I hadn’t seen before? What’s the downside of holding onto this pain? As answers come up, use them as the words for your next round of tapping. Tell the Story: find a friend, or do it by yourself, and tell the story of what happened, how you were affected, how you felt, what other people said or did. You can say it out loud, or just quietly to yourself, and tap through the points as you’re telling the story. The Movie Technique: in this method you visualize the incident. You run the movie in your mind’s eye, and tap through the points as you are mentally reliving the incident. Pay attention to how the memory perhaps shifts. You get other ideas, other impressions. Pay attention to your body. Pay attention to any tension in your stomach, or in your back. What other thoughts came up, that may be issues you can tap on? Are you angry with someone or something? Are you frustrated with something? Are you sad? Now tap on these new thoughts or feelings. Keep doing it until you feel a release, until you feel that it’s time to stop tapping for now. Ideally you want to reach a point where you can pull up this memory in your mind’s eye, and not feel that tension, anxiety or stress. Where it just becomes a memory without a charge. Then wherever you are, take a deep breath and let it go… IMPORTANT NOTE: If at any time you feel the emotion is too strong, that you are losing control, just back it up. Take ten steps back from the vision. Or walk away from it and reach out to a practitioner or a therapist who uses tapping and can help you deal with this.